AT THE far end of Kelvin St is a shady garden, full of eucalyptus and other native trees. It is an oasis of cool and calm. It's the work of the Monto Landcare Group, who for years worked the garden until it resembled what it does today. 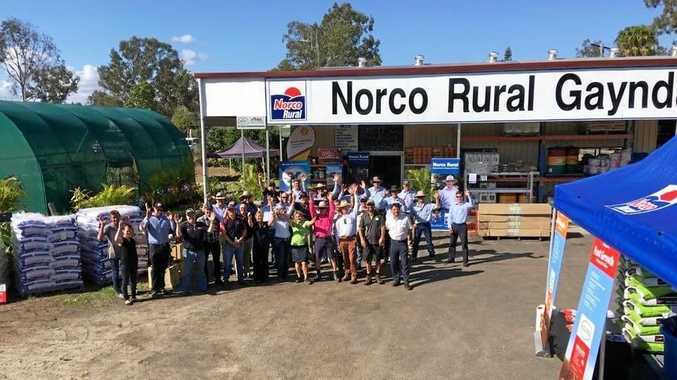 However, after the passing of driving force Glenn Baker, who won the Australian Government Individual Landcarer Award at the 2011 Queensland Landcare awards, and two other stalwart members within 12 months, the group stalled. But now, Glenn Baker's son Jaiben has stepped up to take his late father's mantle. "We currently have a handful of active, mostly older, members,” Mr Baker said. Mr Baker has a new executive, both of whom teach at Monto State High School, but is hungry for a fresh injection of volunteers to carry on his father's work. "We want to invite people to help us determine what we should be focusing on (as a group),” Mr Baker said. He said the garden and the neighbouring Monto Landcare Hall, the group's headquarters, were "such great assets to the community”. As an example, Mr Baker noted Monto State High School took their 2018 school photos in the Kelvin St garden. And, Mr Baker said, he was once accosted by an elderly couple at the hall who pointed to their home opposite the garden. "They said the reason they had bought the house was the outlook across to the garden,” Mr Baker said. Mr Baker envisages the group will meet once a month on Sunday mornings at the hall, followed by a working bee. Born and raised in Monto, Mr Baker has returned to the area after a hiatus and now lives at Cania Gorge with his wife and two young daughters. 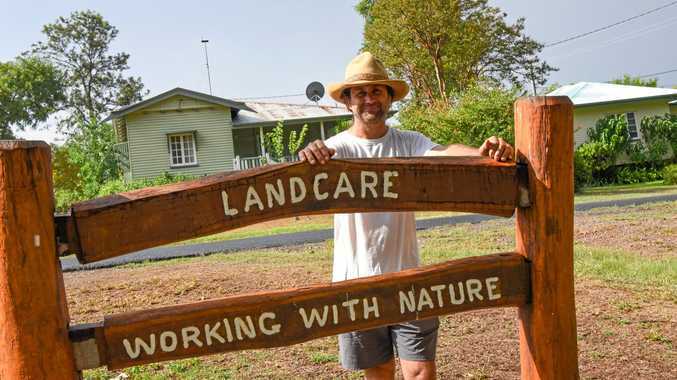 He is also the driving force behind the reformed Monto community playgroup, to be held Friday mornings in the Landcare Hall. He hopes there can be some linkages between the playgroup and Landcare Group. In driving forward these new community groups, Mr Baker hopes to arrest the process of "rural decline”. "So much stuff has been taken away from small country towns, that's why it's more important than ever to keep going,” he said. Contact Mr Baker on 48295254 or on the Monto Landcare Group's Facebook page.